The sickening affair surrounding the lynching of Tokitaizan has caused a certain number of collateral victims in Tokitsukaze-beya, although the police inquiry is still in progress. After NSK got their ears seriously boxed by the minister in charge, Kitanoumi rijicho decided to dismiss the stablemaster Tokitsukaze oyakata, the 15th of that name. Tokitsukaze-beya found itself virtually masterless, which could not be allowed to continue. 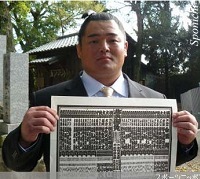 A natural candidate for the succession would have been the former maegashira Aogiyama, who had retired in the Kyushu basho 2003, but for unknown reasons, the former stable-master Tokitsukaze oyakata, 14th of the name, clearly stipulated that he couldn't be considered as a master of such a prestigious stable. So there remained only one eligible candidate, the current maegashira Tokitsuumi. Since it is a given that one cannot be a stable-master and an active wrestler at the same time, Tokitsuumi had to choose retirement if he would accept the onerous responsibility of becoming his stable's master. After reconsideration and undoubtedly some regrets, he decided to retire with urgency on October 6th, in order to complete a financial package, with the aid of his supporter association, to buy the name of the former Tokitsukaze oyakata. Although all was finally settled on October 9th, this was still a sad ending for this wrestler still active on the dohyo, who was always warmly supported by the audience, and who would have earned their respect for some time yet. When he officially took over the functions of stable-master as the 16th Tokitsukaze, the new oyakata also visited Tokitaizan's family to present his excuses, even though he, personally, was not implicated. In return, the family also apologised publicly for indirectly forcing him into retirement. Still, it seems that the best homage to this handsome wrestler was paid by NSK, which felt ill at ease. 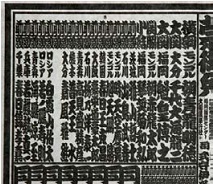 In fact, the powers that be had decided that the new banzuke for the Kyushu basho, published on October 29th, would have an empty place at maegashira 11 west that would have belonged to Tokitsuumi. Such an empty spot is a truly rare event, and the last time it happened was 134 years ago on the banzuke for the winter basho of November 1873! Let us hope that this will motivate the new Tokitsukaze oyakata to bring up new sekitori.